Galicia’s interior lands and coasts are the exclusive supplying for our one hundred percent Galician Cuisine. María Luz, is the author of the exquisite meals which have made Casa Rosinda in a few years famous for its good food. 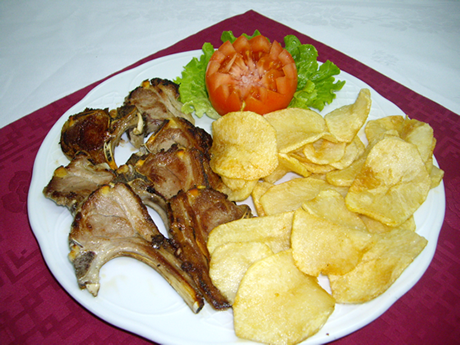 Galician stews, red meat (especially beef steak), “capón” or grilled cod are some of the most popular specialties. Seafood, homemade desserts and a careful selection of wines complete the menu which guarantees success for even the most discerning palates. We have an extensive wine cellar with wines Riojas, Ribera del Duero, Valdepeñas, Toro, Portugal, Ribeiros, Albariños, Godellos and Mencías.